Companies of all types and sizes have come to rely on email as a means of enabling fast, cost-effective communication, collaboration, and information-sharing. Email correspondence has, for many organizations today, become the primary method for corresponding with colleagues, customers, and business partners. But, email is fraught with risk, such as viruses that can corrupt mission-critical documents and applications, hackers that will try every trick imaginable to obtain confidential information, and spam that can impact the performance of other components within the communications infrastructure. These email security threats have the ability to wreak havoc on operations – stopping business systems and the mission-critical activities they support dead in their tracks. Below is an overview of some of the most common email security threats, and a summary of how today’s email security technology solutions can help prevent them. In spite of the severity of the many widely-publicized outbreaks over the past several years and the documented devastation they have caused, many corporate email systems are still quite vulnerable to viruses. In fact, in the first quarter of last year alone, an estimated 19 email virus attacks hit US companies. Today’s viruses are very sophisticated, and often appear to be harmless correspondence such as personal notes, jokes, or marketing promotions. And, while most viruses require recipients to download attachments in order to infect the system and spread, some are designed to launch automatically, with absolutely no user action required. The effects of email-borne viruses can be significant. Many can be distributed around the world in just a matter of hours, bringing down critical communication systems, hindering the performance of global networks, and corrupting vital business documents. There are a variety of email security solutions on the market today that offer highly advanced virus protection. These applications automatically scan all ingoing and outgoing messages and attachments for infection before they reach servers and email inboxes. If you are considering an email security solution, be sure to choose one that has automatic update capabilities. New threats emerge all the time, so you’ll need to be sure that your solution offers immediate protection from all the latest and greatest email security threats. Some studies show that as much as 15 to 20 percent of all corporate email can be considered spam and that the average 1,000 employee company can receive 2.1 billion non-solicited email messages each year. Spam cost US corporations a whopping $8.9 billion in lost productivity and system slow-downs annually, according to industry experts. But while most spam is simply annoying and counter-productive, some of it can be downright dangerous. In an effort to “trick” more recipients into opening malicious emails to facilitate faster spread, many hackers have begun disguising viruses, spyware, and malware as innocent-looking spam. Cutting-edge spam filters are included with many email security packages today. These filters help identify non-relevant communications using key words and phrases, or other more advanced measures such as format, size, or ratio of graphics to text. Emails flagged as possible spam are typically moved to a separate folder, or are instantly deleted from email servers. Many solutions will also block email addresses that are known to have sent spam, so they cannot distribute additional disruptive emails in the future. Phishing schemes are used to perpetuate identity theft or financial fraud by posing as “authorized” emails from established and trustworthy institutions, in an attempt to get recipients to surrender personal information such as social security or bank account numbers. While most phishing campaigns are aimed at individuals and private email addresses, there are some more bold and brazen hackers who have been known to target smaller businesses, in hopes of obtaining corporate credit card numbers, log in IDs and passwords that provide access to CRM and financial systems and other information. Anti-phishing protection is a key component of many email security solutions. Through a powerful combination of techniques and services for authentication, detection, prevention, and reporting to enable effective threat analysis, as well as attack prioritization and response, these applications are designed to minimize both the risk, frequency, and impact of phishing. What would happen if an outsider could monitor every mouse click, every key stroke, every action that took place on your company’s PCs? Would they gain access to confidential product development plans? Would they find out more about your customers and prospects than you want them to know? Would they learn about emerging competitive strategies? Spyware enables hackers to do just that – record all activities and data on the infected computer via a program that dynamically gathers information and transmits it via an Internet connection. Spyware is often bundled in with shareware and freeware programs, and usually installs and runs without the knowledge of the user. Firewalls alone are not enough to help you avoid falling victim to spyware. An advanced email security solution that scans desktops, laptops, and other network devices regularly for spyware programs – and immediately removes them – is needed to offer full protection. Most email security software will even offer a proactive approach to spyware security, blocking known spyware programs before they can be downloaded and installed. Looking for more information on security? Check out our side-by-side comparison of leading platforms in our exclusive Top 10 Endpoint Security Solutions software report. 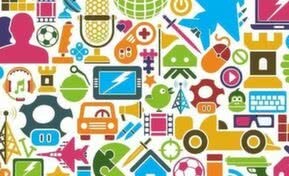 How Do I Protect Myself Engaged in the Internet of Things?